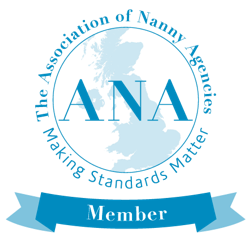 For all employment placements (permanent nannies, parents’ helps and temporary positions), we charge a one-off finders’ fee (detailed in our terms & conditions, available on request) only on the successful placement (i.e. when an offer is made and agreed with both parties). You will then pay your nanny directly once they commence employment with you. For maternity or night nanny services, we charge a rate of £20 per day/night booked (£35 in North London). This reduces to £90 per week for bookings of 5+ days (£120 per week in North London). A similar structure operates for single day or one off nanny covers. For babysitting services, we operate either on an annual retainer basis, with an upfront annual payment followed by an unlimited number of bookings allowed in that period. Alternatively, you may pay a booking fee of £10 each time you book. You will then pay your babysitter directly at their normal fee rate, which is set by them, usually between £7 and £10 per hour depending on their experience.